Vacation Rentals Category Archives — Titles and Deeds Published by Titles and Deeds Attorneys — Jarod Bona of Bona Law PC. San Diego’s City Council spent much of 2018 arguing over proposed vacation rental regulations. In July, the City Council passed two ordinances imposing strict limits on “short term residential occupancy” (STRO). Opponents of the ordinances circulated a petition that received enough signatures to put the matter before voters. The City Council repealed the ordinances in October. Arguments for and against the ordinances brought up the interests of homeowners who live among STRO properties, homeowners who use their homes as STROs for income, investors who own STRO properties but do not live in them, and lodging businesses (hotels and motels) that view STROs as competition. Even though the ordinances have been repealed, the issue is currently under debate in Los Angeles, and is likely to come up again in San Diego. California real estate investors should be aware of new developments. The City Council adopted two ordinances in mid-July, and formalized them on August 2. The first ordinance, O-20977, addressed enforcement STRO restrictions. The second ordinance, O-20978, established the actual restrictions. California’s coastline is one of the state’s greatest assets. It offers some of the best scenery in the world, draws countless tourists, and boasts some of the highest property values in the state. Coastal property offers many opportunities for California real estate investors, but a unique set of rules may apply. The California Coastal Act (CCA) regulates an area known as the Coastal Zone. Back in the 1970’s, the state created the California Coastal Commission (CCC) to enforce the CCA. An issue that has caused controversy recently in cities and towns up and down the coast involves vacation rental homes, commonly known as short-term rentals (STRs). The CCC must approve municipal regulations affecting coastal STRs. It recently rejected an ordinance in Del Mar that would have limited the duration of time STRs could be rented to the public. Trends in San Diego real estate have proven to present ample opportunities for investors. The National Association of Realtors (NAR) ranked the city fifth on its list of hottest real estate markets in America and recently moved it to fourth. And in September, San Diego rent prices reached a record high. Lastly, homes have a much shorter listing life than the average for the country. However, this doesn’t necessarily mean that finding the right property is easy for investors who are looking for the right move. To capitalize on San Diego real estate, it’s important to find an investment property that is most likely to yield a profit. There’s much more to the location of a property than the city it’s in. As investors, you need to be able to understand what’s valuable in the area, and what nearby attractions you can leverage to your advantage. Furthermore, when you purchase an investment property, you’re looking at the entire block, and not just the house. Each block has its own unique value; the property on one block can range from one on the next for this reason alone. This emphasis on highly specific location isn’t just unique to San Diego communities. Whether you’re in the Pacific Beach neighborhood of San Diego, or checking out Hillsborough realty in North Carolina, you need to understand your surroundings just as good as any other local. Rather than just glance at the numbers and neighborhood statistics, do some field work. Drive around the neighborhood, and then walk on foot to visit some of the local stores, restaurants, and other businesses. This will give you a much better feel of the community vibe, and you may even learn about things you didn’t have previous knowledge of, like upcoming developments in the area. Not all realtors are created equal, and the realtor that you choose to help you during your search can easily make or break your experience. Your realtor should have highly relevant experience that aligns with your goals. For example, if you’re looking to invest in and run a bed and breakfast, a realtor with luxury home experience isn’t exactly best-suited. Or, if you’re looking to invest in a major condo project, a realtor that specializes in smaller apartment buildings won’t exactly fit the bill. 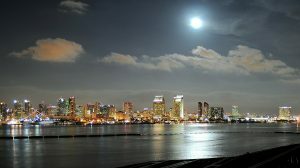 It may be best to work with a local San Diego brokerage to get the best deals and most relevant agents. The age-old saying goes, “the devil is in the details,” and when it comes to real estate investments, this much can be true. Real estate tycoon Barbara Corcoran told Good Morning America that she once bought a 12-unit motel that had a great rent roll, and after the purchase was finalized, discovered that those tenants hadn’t paid any rent in nine months. You’ll also need to consider property taxes. It’s not uncommon for property owners to discover that property taxes skyrocket after a buy. For example, if you bought a property from previous owners who had a homestead exemption for many years, you could be looking at a huge chunk of taxes. The larger the property, the more maintenance it requires. When investing in any property, you need to be able to determine realistic maintenance costs of that property. Many landlords have gone bankrupt because they failed to properly calculate their future expenses and grossly underestimated the cost of owning an investment property. If you don’t already own a property in the area, start by asking local San Diego property managers. Most will be more than willing to help you better understand what to expenses to expect in the area. You can also reach out to companies who issue the expenses to look for a previous average expense prices on the property (or comparable properties). Real Estate News is a new feature at Titles & Deeds. We will periodically address new developments in the real estate world that matter to real estate investors. Update: Read here to find out what has happened more recently involving San Diego Vacation Rental regulation.